Preet Kaur is a Kundalini Yoga teacher, sound healer and singer. With over 10 years experience of teaching yoga, Preet offers regular Kundalini Yoga classes and one-to-one sessions in Somerset and Dorset. 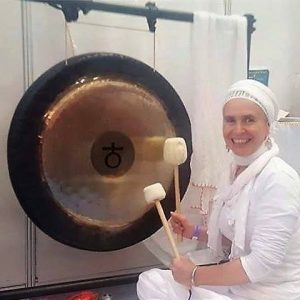 She also facilitates workshops and retreats in Kundalini Yoga, Sound Healing Gong Baths, Gong training and Sound Healing in the UK. 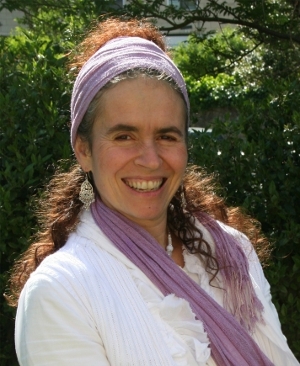 She is a member and also works for the Kundalini Yoga Teacher association. Preet is being mentored by her teacher Shiv Charan Singh from the Karam Kriya School and is an intern with the Aquarian Kundalini Yoga Teacher Training Academy and is in the process of becoming a teacher trainer. “It is an honour to enter a sacred space and share the teachings of Kundalini Yoga. The teachings are timeless and infinite and they have touched and continue to touch my heart. I am also very blessed and privileged to be working alongside people in their healing through using different sound healing instruments such as the gong, the voice, tibetan bowls and crystal bowls. It is an honour to witness their courage, to be present with them when pain arises, falls and passes away and to witness their transformation. It is a humbling journey when we take steps to heal ourselves and open to who we really are. It takes whatever time it takes to grow, transform and unfold into our true nature. “It requires us to make a commitment and say yes to life from a deep place within. This means taking an active part in our healing journey: To practice what we know serves us to come into wholeness. The more we do this, the more we rest in our being, the more we realise that we are absolutely supported and held, then we move from doubts, fears and separateness towards trust, love and union and live our lives with happiness, health and peace.